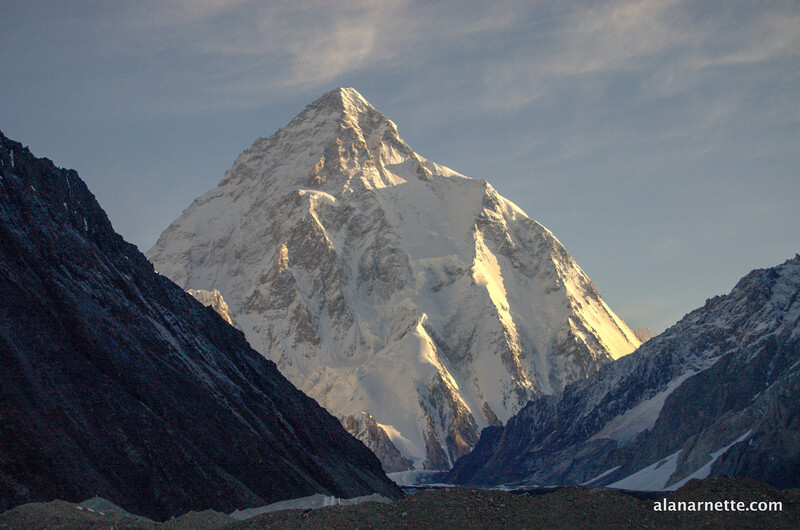 Both the K2 and Everest teams have established a base camp and touched their mountains. In other news sadly a death on Lobuche Peak in Nepal. See this post for full background on the K2 and Everest expeditions and the history of winter attempts on the highest two mountains on Earth. The Polish team arrived at the spot where they are currently building their base camp. Meanwhile, a few climbers began to fix a small part of the route up the Česen. They are reporting high winds at base camp that has delayed some progress but also some issues with getting all their gear to BC. 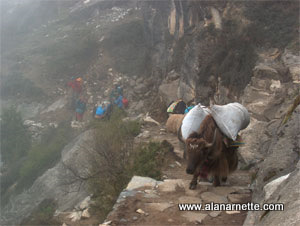 Some were left at Concordia so they had to arrange for more porters to ferrying the last goods to their camp. Alex Txikon and five Sherpas have fixed the ropes through the Khumbu Icefall to Camp 1 at 6,050 meters in the Western Cwm. Alex was quite pleased with their progress noting it took them one less day than last year with six instead of 11 climbers. Muhammad Ali Sadpara was acclimatizing elsewhere and did not participate in this work. The team will take the weekend off during a period of forecasted high winds and resume fixing the route early next week. You can follow their movements on Alex’s his GPS tracker, Twitter, Instagram, and Facebook. The Himalayan Times is reporting that Austrian climber, Markus Schett (41), died while attempting to climb Mt Lobuche East (6,119 m). 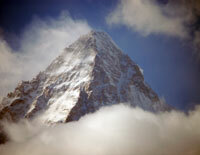 He was reported to have asked his guide to stay at base camp while he attempted to summit alone. He left high camp on December 19 and was not heard from. His guide contacted authorities who did a helicopter search but his body was found by another Lobuche team on 29 December. Authorities were preparing to retrieve his body but his family has requested he stay where on the mountain. There is no update on this as of this date. A small team of Pakistani climbers are attempting the first winter summit 7200 meter Masherbrum West Peak aka Masherbrum 2. Lead by Maaz Maqsood. No updates until they return. Another big winter climb is by Simone Moro and Tamara Lunger on a very northern peak in Siberia, Pik Pobeda, 3003 meters, in the Chersky Range region. They have not posted any updates. Tomek Mackiewicz and Elisabeth Revol are hoping to get a winter summit of NB this year. This will be the seventh attempt for the 42 year-old Polish climber, Mackiewicz. No updates available. Today is the 10th-anniversary of Hillary’s passing at age 88 due to illness at the Auckland City Hospital in New Zealand. Of course, he made headlines with being on the first team to summit Everest in 1953 but more so for his foundation that built 25 schools, 2 hospitals, 12 clinics, and numerous water works in Nepal.